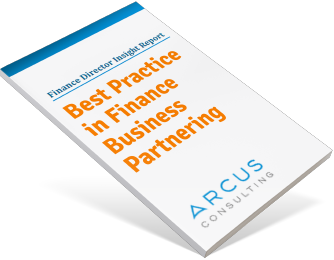 Most Finance Directors say that having the right people with the right skills is their number one priority for delivering business value from Finance. Yet, in our experience not many FDs identify the specific capabilities needed by their finance business partners, as opposed to general skills like ‘presenting with impact’ or ‘influencing skills’. Value Finance capabilities are really a ‘ticket-to-the-game’. They range from accurate reporting at the lower end of the value scale, through to providing clear information, with analysis and business insight at the higher end. Business Acumen and Knowledge is the next most important group, without which it’s very hard for Finance to earn the right to have a seat at the business management table. Engagement and Communication. ‘Does my finance partner communicate with me by e-mail and spread-sheets, or do they pick up the ‘phone and come to my office to challenge and influence my decisions?’ Do they build business relationships? Leadership. When you’re working alongside experienced business managers it can be hard to demonstrate strong leadership from within Finance. But this is the key difference between being ‘good’ at business partnering and being ‘great’. When the Head of your Business Division asks you to stand in for them, as their lieutenant, then you know you’ve hit the sweet-spot! You can read more about our business partner capabilities in our Best Practice report which you can download on the right hand side of this page. 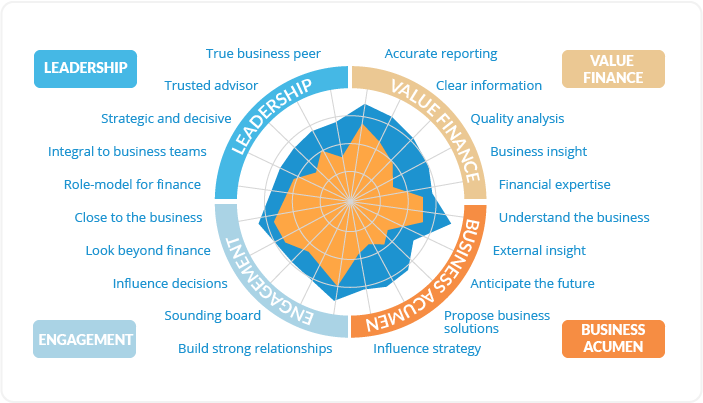 The best finance organisations we’ve seen are quite explicit about the business partnering skills that are needed at each level of the organisation. What are the career paths from junior analysis levels up through mid-level business partner roles, and onward to Business Finance Director? The mistake too many companies make is simply to re-draw organisation charts with ‘generic’ role descriptions and competencies for a Business Partner. They then re-appoint and re-brand traditional finance managers as business partners and tell them to get more involved in the business without defining in detail WHICH business decisions to focus on, WHAT practical skills they need and HOW they should work with their business colleagues. As a result most ‘business partners’ operate in the way they’re most comfortable with, according to their own style. If that means carrying on with generating spread-sheets instead of challenging their business colleagues, then so be it! Have you been explicit about the skills and capabilities needed for each of the roles in your business-facing Finance organisation? Have you appointed your business partnering teams based on genuine capabilities, or have you ‘re-shuffled’ your existing team as best you can into new business partnering roles? Do you know what the biggest skills gaps are in your Finance teams, and how to close them? What would your business colleagues say are the gaps? We’ve helped many large companies to re-define roles and career paths, explicitly linking our top 20 capability sets in our Finance Partnering Capability model to each role. We’ve then run highly successful training and development programmes for business partners to build these skills over time from Foundation skills to Advanced partnering capabilities. If you’d like to find out more about how we do this for clients then please get in touch for an informal discussion. The Arcus approach is disarmingly simple but incredibly powerful. I’m very glad we switched to the Arcus approach when you look at the impact they’ve had with us.